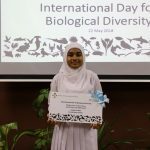 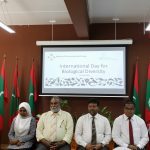 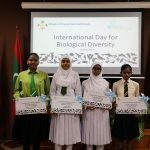 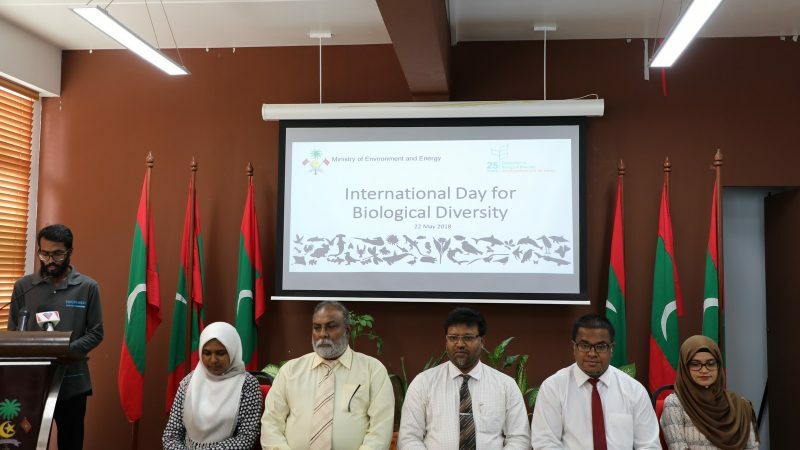 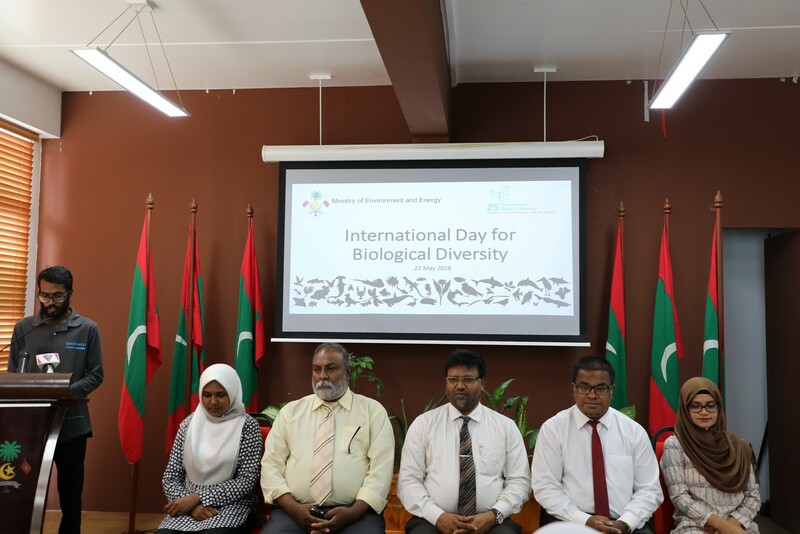 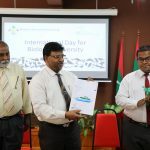 Ministry has celebrated International Day for Biological Diversity 2018 (IDB 2018) at a ceremony held at the Ministry on occasion of IDB 2018 today. 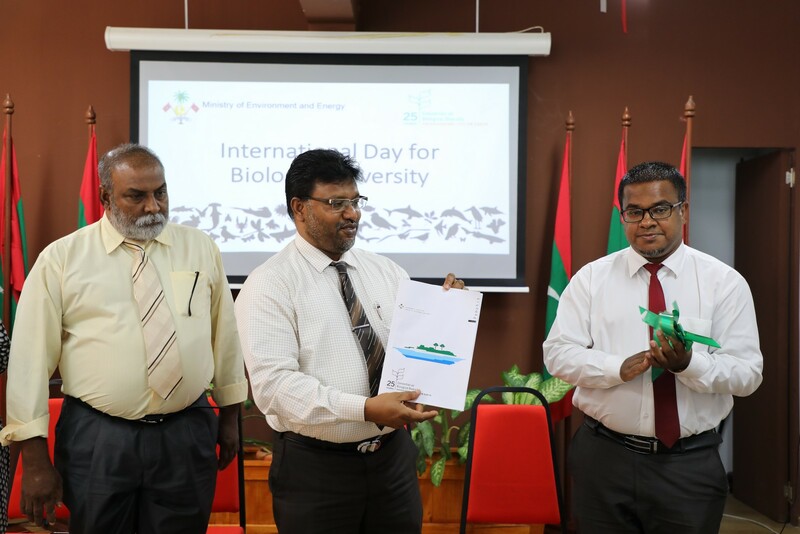 The ceremony was honored by Minister of State for Environment and Energy, Mr. Abdulla Ziyad. 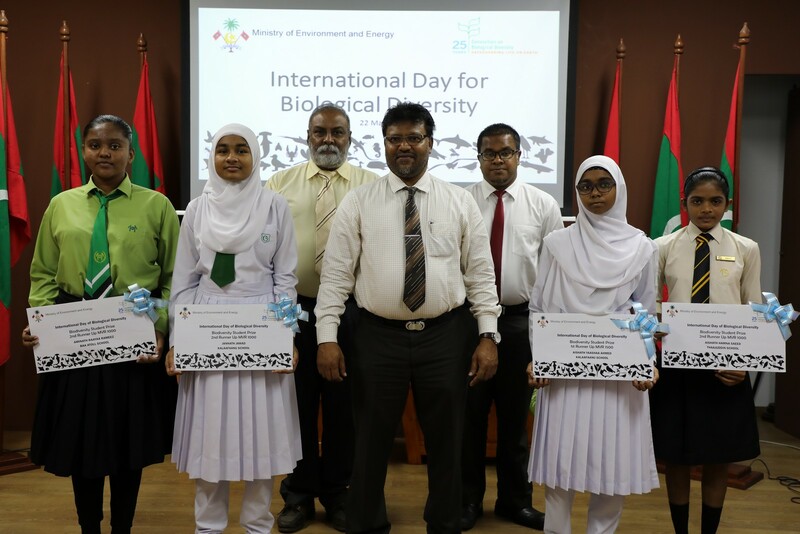 In this ceremony, certificates and prizes were awarded to the winners of the Essay Competition held on occasion of IDB 2018, from 18th March to 18th April 2018. 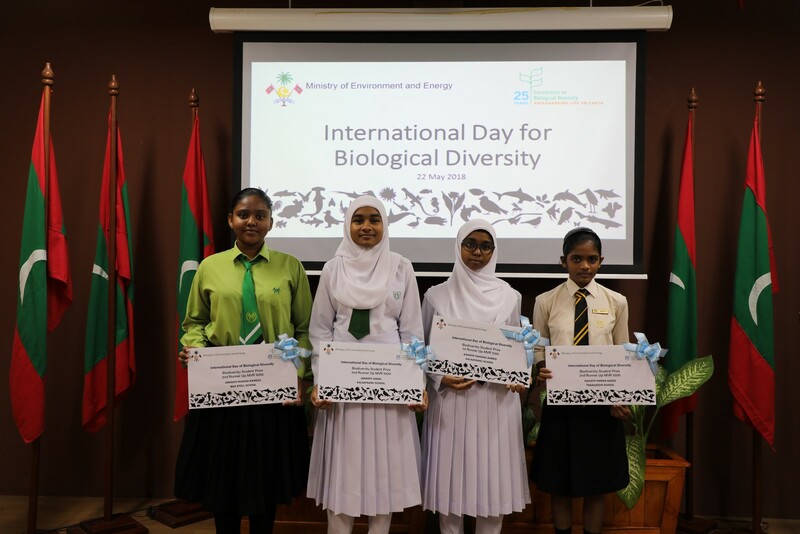 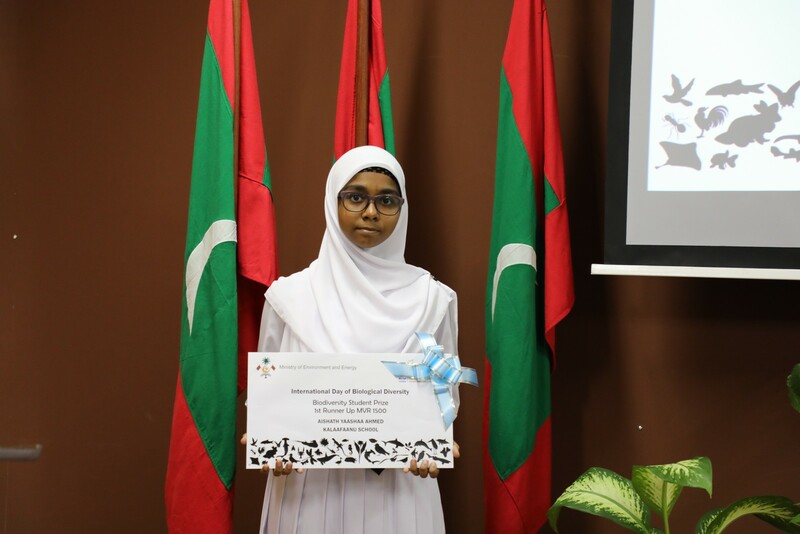 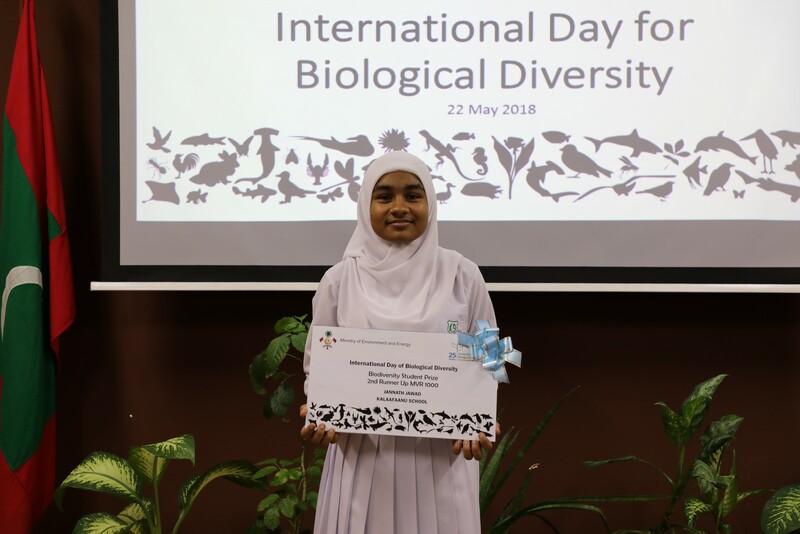 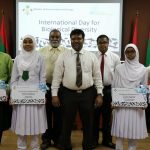 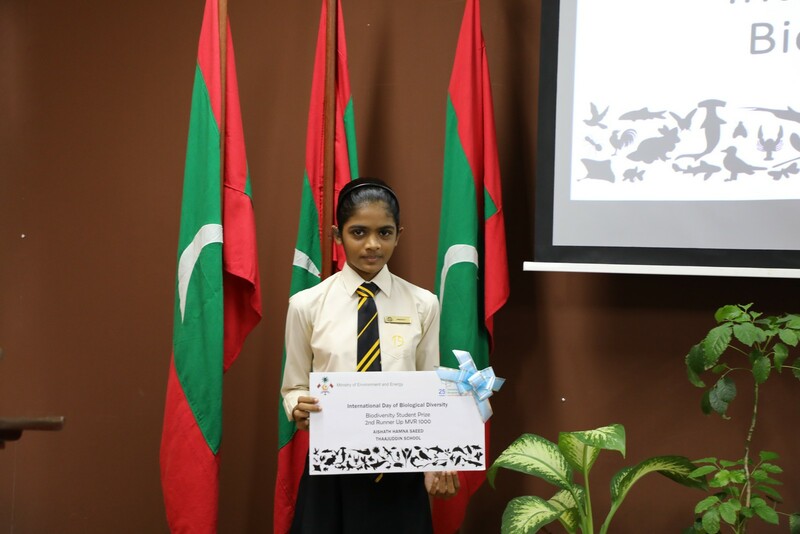 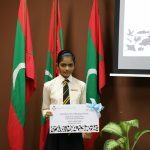 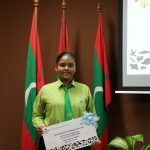 The certificated and prizes were awarded to the students by Minister of State for Environment and Energy, Mr. Abdulla Ziyad and Permanent Secretary of the Ministry, Mr. Ajwad Musthafa. 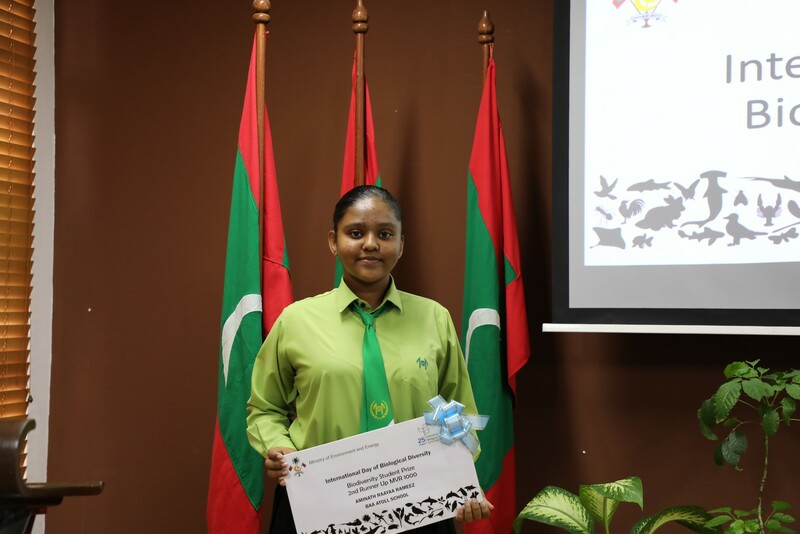 Topic of the Essay: The coral reefs in the Maldives are bleaching- Can it be saved? 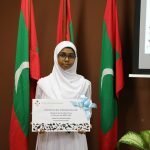 Speaking at the ceremony, Minister of State for Environment and Energy expressed his gratitude for the cooperation given from the schools for the Essay Competition.